Welcome to Wilde Jaguar Sarasota, your full service Jaguar dealer offering new Jaguar models, certified preowned Jaguar models, used car sales, Jaguar parts and accessories, financing, Jaguar service and maintenance, auto body shop, collision center and auto detailing. 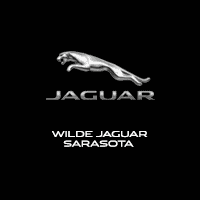 Wilde Jaguar Sarasota serves the Sarasota-Bradenton-Venice area offering the highest-quality vehicles, a value added experience, exceptional service, competitive prices, Jaguar incentives, and financing options to our valued customers. We are also a community-centered dealer supporting youth and the arts in Sarasota. Wilde Jaguar carries a complete selection of new Jaguar models, certified pre-owned Jaguar models and luxury used vehicles for your selection. Jaguar ranks among the top U.S. vehicle brands surrounding drivers and passengers with the luxury of the Jaguar F-TYPE, XF, XJ and XK. Quality has never felt so alive! You will recognize our attention to detail in every aspect of purchasing and owning your Jaguar. Wilde Jaguar offers a superior buying experience, a wide variety of financing options and an expert service and parts staff to keep your Jaguar in tip-top shape. When you commit to owning a Wilde Jaguar, we commit to you. Customer service is our number one priority. Our philosophy is simple: Operate with integrity and put the customer first. We bring you the best new Jaguar models and the best service at the best price. We’re proud to be DealerRater’s National Dealer of the Year and a Pride of Jaguar retailer of excellence. With our deep commitment to customer service, Wilde Jaguar maintains its position at the forefront of the luxury automotive market in Sarasota. Our commitment to the community doesn’t stop with putting exceptional vehicles on the road, we’re also Wilde about our community – and have given back for many years by developing sponsorship partnerships focused on important community initiatives. The Wilde Automotive Family sponsors numerous non-profit organizations, cultural arts, children’s charities and events that directly benefit those who live and work here.